I’ve been alive for 33 years. Thirty-three!! My 33rd birthday is coming up on the 9th, and there are a few things that are high up on my wishlist. First and foremost, I’d love to be done with my Paralegal AA. But, that is something no one can do but myself. So, that’s all on me and that’ll be my birthday present to myself this year. If you don’t know already, my lashes are the one part of my physical appearance I am OCD about. I’m picky about everything that relates to my lashes: mascara, makeup remover, eye cream, eye liner, and even the need to make sure I’m taking flax seed oil everyday. I’ve been told I have long lashes. I think they are of average length. But, no matter what, my lashes consistently get complimented. So, I don’t know if I really *need* this product. But, I’ll take anything that keeps my lashes healthy. And, the fact that it is considered vegan (cruelty free, by default), I’m intrigued. 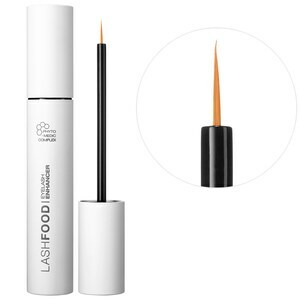 I’ll use anything cruelty free that will keep my lashes strong. And, it’s got the ECOCERT seal of approval. For those of you who don’t know, ECOCERT is a European organization that inspects products regarding organic status. Essentially, if something get’s approved by the organization, the product has to maintain honesty/transparency about the origin of the ingredients, and maintain a high level of organic ingredients & a low to nonexistent level of possible toxic ingredients. There are more detailed requirements and there is a lengthy manual as to what is entailed, but you can research that on your own time. Anyway, let’s be real, I’m a sucker for stuff like this. I love this brand, so much so that I freelanced for the company a few years ago, back when it was called MD Skincare. A huge seller for me is that the majority of the products in the line are vegan. Again, by default, that means those products are cruelty free. Furthermore, the entire line should (and does) stick to that philosophy with every single item they create. 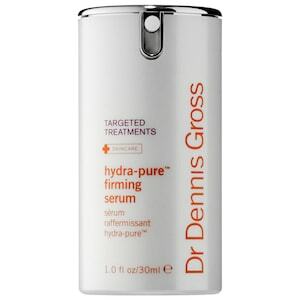 This serum is something I need in my life. After three years of being a lifeguard, the chlorine & sun got the best of me. I got major forehead wrinkles whilst still a teenager. Since then, I’ve done a decent enough job to prevent them from getting any more noticeable, however, time & gravity still exist. I’d like to preserve my skin just a little longer. I wish I had the $95 to spend on this serum! As I just mentioned, I was a lifeguard for three years. I am also a fan of being outside when the sun is out. Moving to California at six in the 80s, it’s what we grew up doing. If it was light out and we weren’t in school, the kids would be outside playing until the very last minute. I never baby oiled, thankfully. I wore sunscreen as much as possible. But, sunburns are inevitable when you have skin that is easy to burn and you spend hours upon hours outside. I love the freckles on my body and wear them with pride. They show the world that I enjoy being outside. My face is a different story. The freckling on my face is not worthy of showing up in Vogue. Instead, the sun kissed look is blotchy, red, uneven, and scary. I’ve become quite obsessive about putting sunscreen on during the day and adding lemon juice to my toner in the evening. 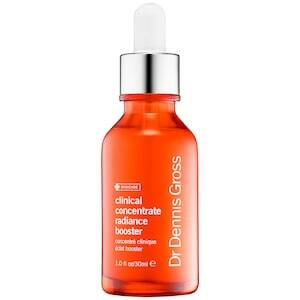 I trust Dr. Dennis Gross, and I trust that this can help minimize the appearance of some of the discoloration. Sometimes, the lemon juice is just a little too exciting for my skin. I have a habit of losing sports bras or wearing them out. I have one similar to this from lululemon, but the support isn’t quick as efficient as it needs to be anymore, due to a *ahem* decreased bust size. Plus, having more than one of these kinds of sports bras comes in handy, especially as I’m back on a running kick and would love to not wear the same bra for two weeks straight. I can get very sweaty when I run & sometimes I forget to put deodorant on. California is in an intense drought, so I’d rather not have to do multiple loads of laundry for one bra. The reason why I like bras like this is because I listen to music or podcasts when I run. I cannot stand holding on to anything when I run more than half a mile. Putting my iPod in a small waist pack is uncomfortable and the earbud wires get in the way. Having a place to put my iPod that is out of the way, comfortable, and easily accessible is great. And, seriously, how many women do you see running with keys, a cell phone, an MP3 player precariously stowed under a bra strap? If you haven’t noticed that yet, you will come summer months. Having a bra like this is very useful for those of us who like to listen to our iPods/iPhones whilst working out. As well as keeping things accessible and out of the way, it ensures that an iPod or cell phone will not go crashing to the ground.